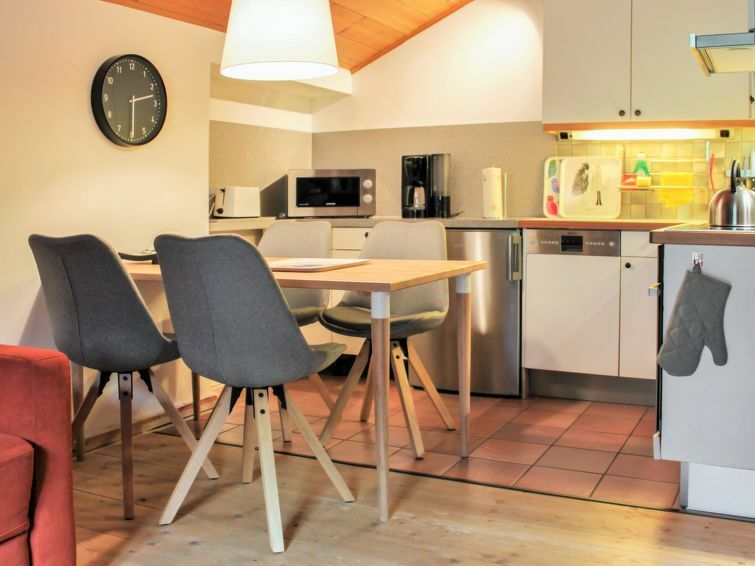 Schladming-Untertal: Small apartment house "Christine". Above Schladming, 5 km from the centre, in a quiet, sunny position. For shared use: garden, lawn for sunbathing. Terrace, garden furniture, barbecue, children's playground. In the house: WiFi, table tennis, table football, storage room for skis. Parking (limited number of spaces). Grocery 1.5 km, restaurant 200 m. Golf course 7 km, cable car 1.5 km, skisport facilities 1.5 km, ski bus stop 200 m, cross country ski track 30 m. Please note: There are more similar properties for rent in this same residence. Cycling routes from the house. Enjoy a wonderful view of the south side of the Dachstein mountain range. Schladming- Dachstein-SOMMERCARD included! 3-room apartment 50 m2 on 1st floor. Comfortable furnishings: living/dining room with 1 double sofabed and satellite TV. Exit to the balcony. 1 double bedroom. 1 room with 1 x 2 bunk beds. Open kitchen (oven, dishwasher, 4 induction hot plates). Shower/WC. Balcony. Balcony furniture. Very beautiful view of the mountains. Reserved parking (1 car) at the house. Please note: non-smoking house. The apartment has partically some sloping ceilings.